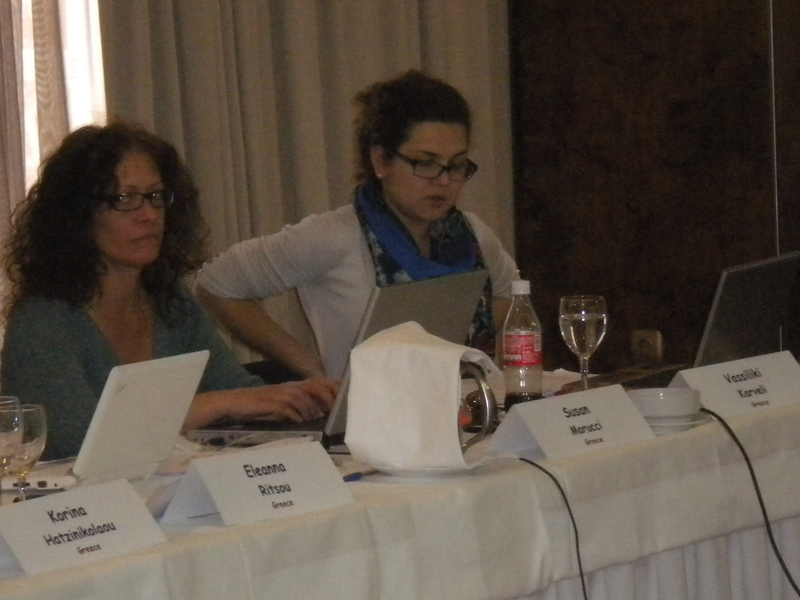 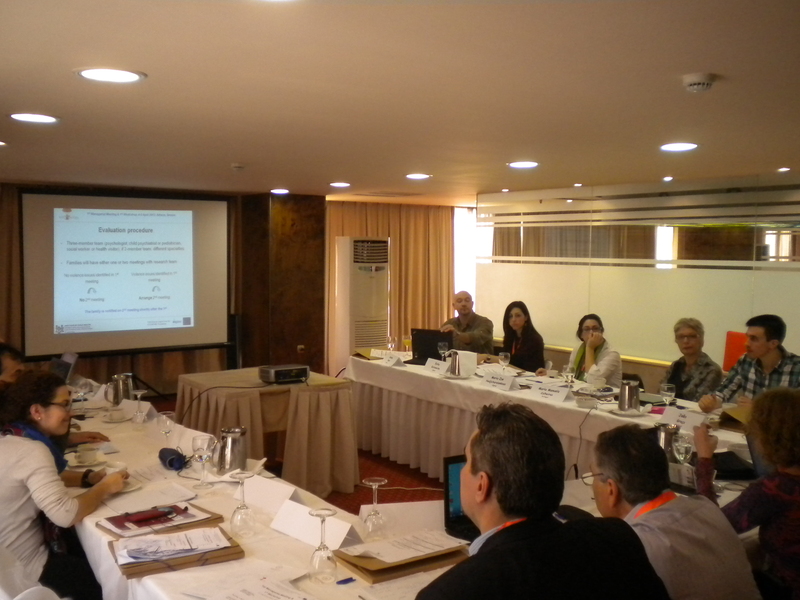 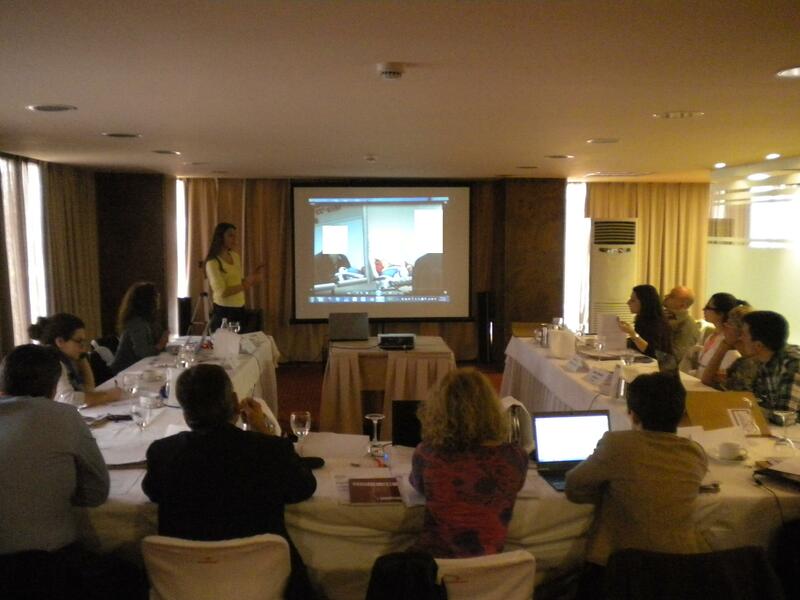 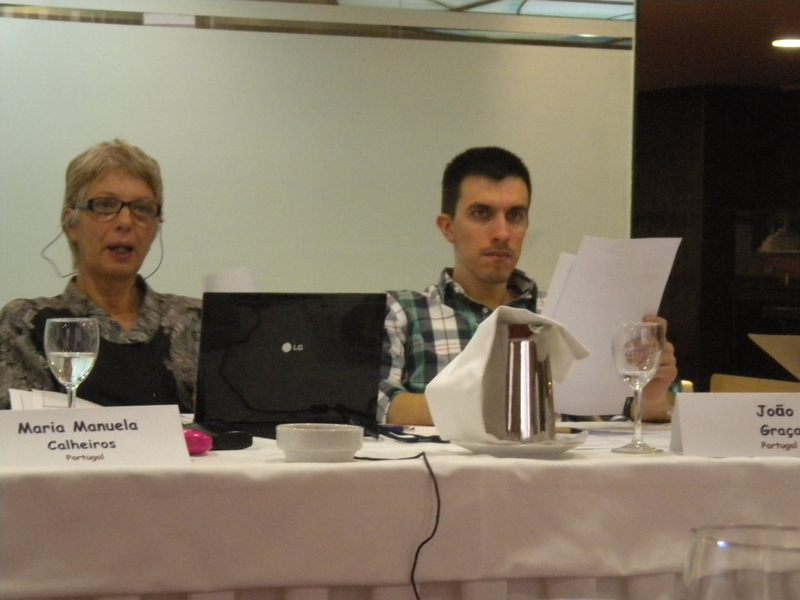 The Project's 1st Managerial Meeting & 1st Workshop were held on the 4th and 5th of April 2013 in Athens (Greece). 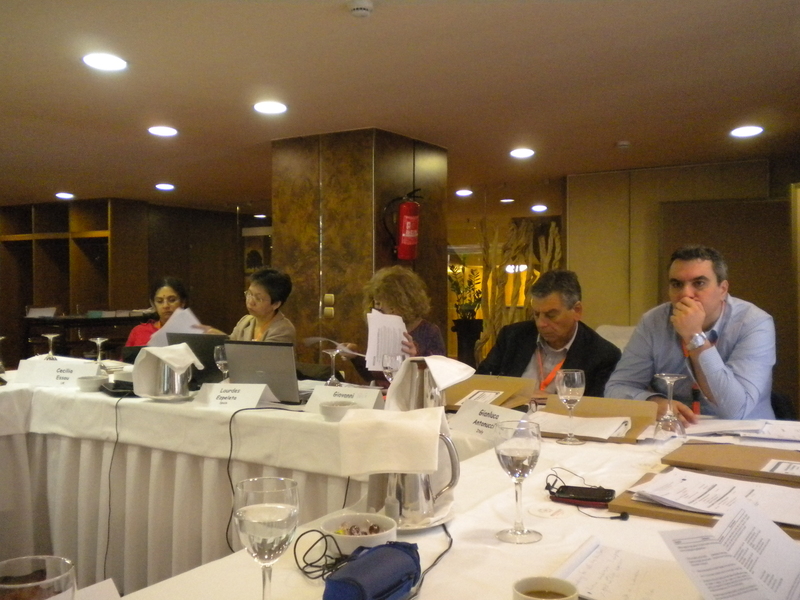 The objectives of the meeting were to mutually decide upon the implementation of the project’s activities, to discuss several managerial and financial issues, to inform the Consortium of each partner’s National Public Health System, and to discuss n the progress each partner has made insofar. 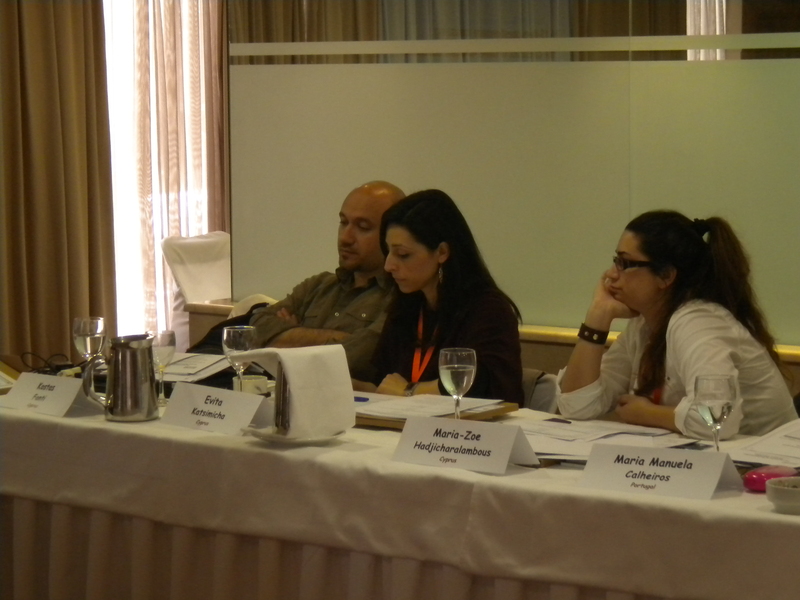 Finally, deadlines, anticipated barriers and future tasks were discussed. 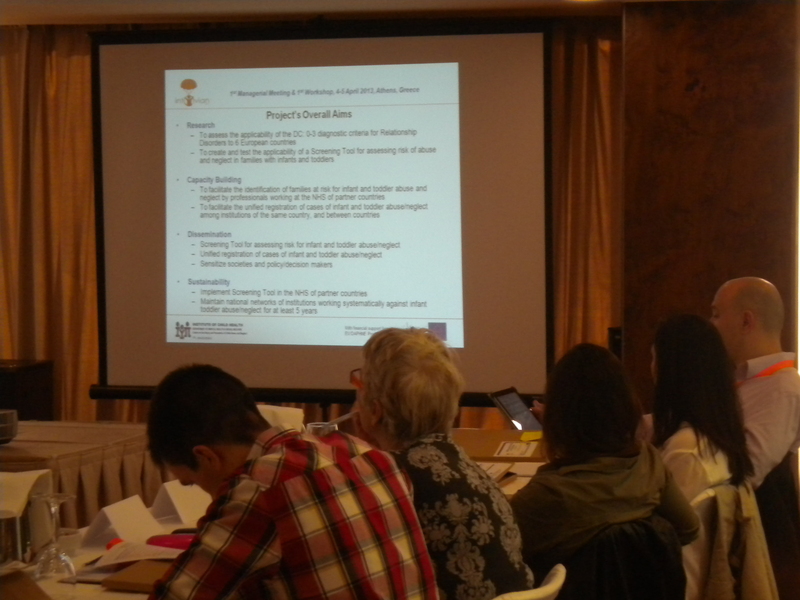 During the Workshop, the Consortium was trained on tools that would allow to evaluate mother-infant/toddler video-recorded interactions. 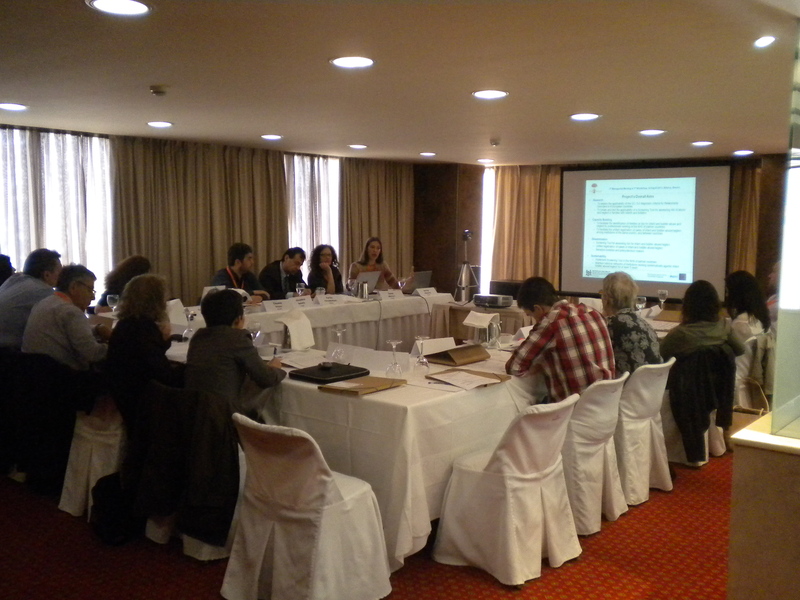 A total of 15 participants (representatives of each partner-organization) participated in this meeting.